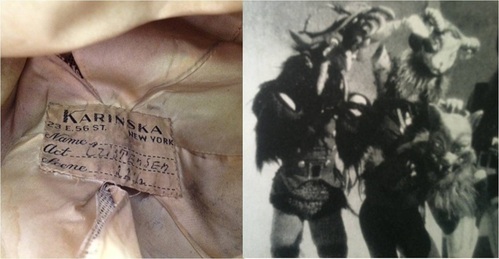 Collection of costumes and memorabilia related to costume designer and expert seamstress Barbara Karinska. 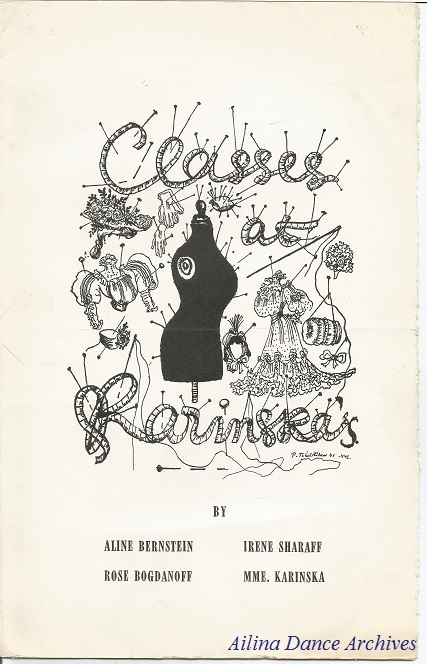 Brochure for courses in costume design taught at Barbara Karinska's studio. 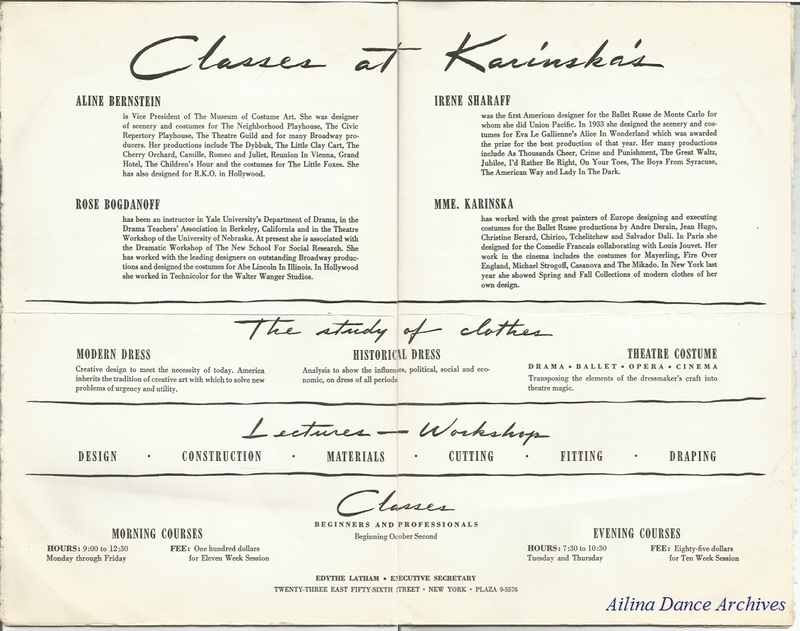 ﻿﻿﻿Original brochure for morning and evening costume courses taught at BARBARA KARINSKA's costume shop at 23 East 56th Street in New York City. Faculty included Aline Bernstein, Irene Sharaff, Rose Bodganoff, and Madame Karinska. 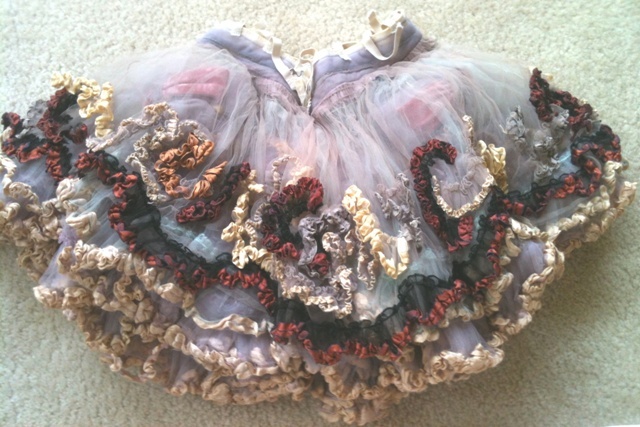 Original costume worn in the New York City Ballet production of Scotch Symphony by dancers Suzanne Farrell and Kyra Nichols. George Balanchine choreographed Scotch Symphony to music by Felix Mendelssohn. The ballet was inspired by NYCB's first trip to the Edinburgh Festival and had it's premiere on November 11, 1952 at New York City Center of Music and Drama. The original cast included Maria Tallchief, Andre Eglevsky, and Patricia Wilde. Women's costumes made by Karinska and men's costumes by David Folkes. 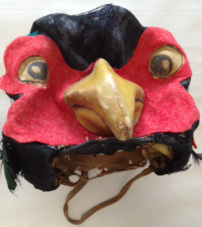 Costume for Scotch Symphony, designed by Barbara Karinska. 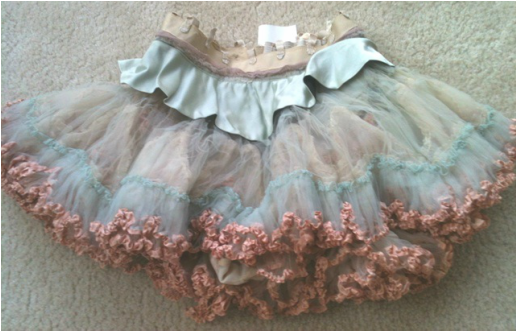 Worn by Suzanne Farrell and Kyra Nichols for the New York City Ballet. Suzanne Farrell wearing the Scotch Symphony costume designed by Barbara Karinska. 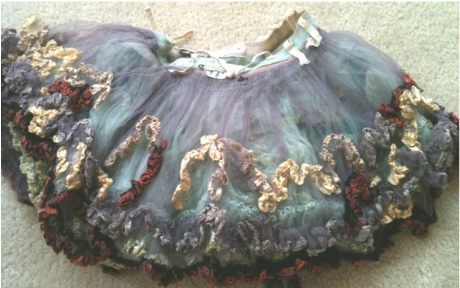 Original costumes worn in the New York City Ballet productions of Western Symphony. Western Symphony was choreographed by George Balanchine and premiered on September 7, 1954 at New York City Center for Music and Drama. 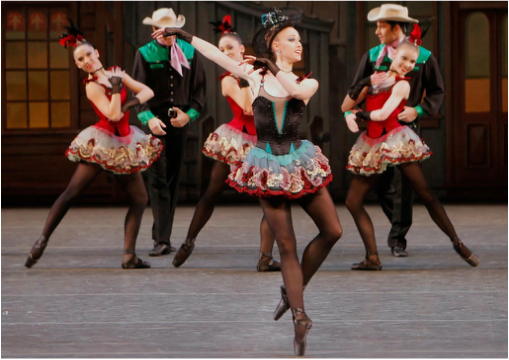 The ballet is a lighthearted homage to the Old West and an example of Balanchine's fascination with American themes. 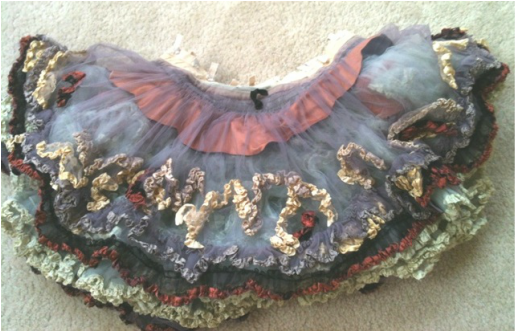 Western Symphony skirt created by Barbara Karinska for the New York City Ballet. 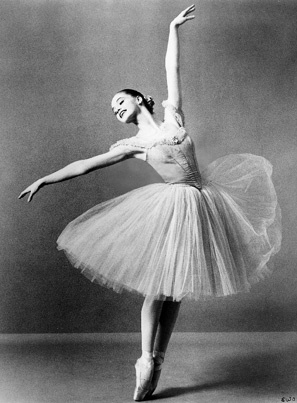 Teresa Reichlen in George Balanchine's Western Symphony. Photo by Paul Kolnik. 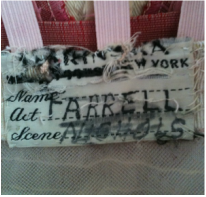 Courtesy of NYCB.